Facebook has become a significant element to grow your business. Few imagined that this social networking service for college students would evolve into a major platform for 600 million users to connect. Facebook is now a key online marketing tool for businesses that can drive increased traffic to your website, generate additional sales, promote brand recognition and loyalty and provide a direct communication link to your clients and customers. Facebook now offers freedom with your profile image, fan pages and an array of apps that you can plug into them in order for you to customize what people see when they land on your page. This is now a part of the core interactive technology element for BlackOut Design. 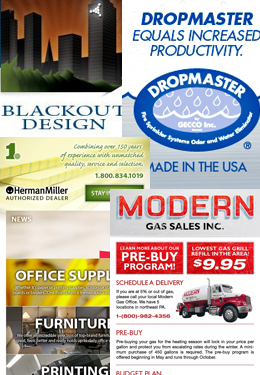 So far, we have enhanced the Facebook pages for Dropmaster, Modern Gas, One Point, and BlackOut. Check them out and let us know how we can help you to maximize your potential!